Hesham Mostafa received his Ph.D. degree in neuromorphic engineering from the Institute of Neuroinformatics, University of Zurich and ETH Zurich in 2016. He was awarded a postdoctoral fellowship from the Swiss national science foundation and joined the department of bioengineering at the University of California San Diego as a postdoctoral researcher for two years before joining Intel. Hesham’s work straddles the fields of computational neuroscience, machine learning, and hardware design. During his Ph.D., he proposed a new computational role for Gamma-band neural rhythms and showed how distributed rhythms can be used to solve constraint satisfaction problems in low power VLSI chips. He worked on several generations of spiking neural network chips, using both CMOS and hybrid CMOS-memristor technology, and developed supervised and unsupervised learning algorithms for spiking networks. During his postdoc, he worked on power-aware machine learning algorithms and accelerators. He currently holds a research position in the office of the CTO at Intel’s Artificial Intelligence Products Group (AIPG). His latest research focuses on the properties of sparse networks. 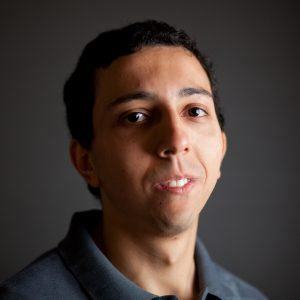 Hesham is a firm believer in a holistic approach that leverages insights from neuroscience and machine learning to develop scalable and efficient AI algorithms.